As you might guess, I had more time to read while I was taking my break. I can't tell you how many times in the past I've sat down to read and thought, I just need to check a couple of things first. I pull out my phone, and before I even realize it's happening, twenty minutes have passed, my time is gone, and I didn't actually read anything. Three weeks of not writing any book reviews plus more books actually read means that, even if I'm able to maintain my three posts per week schedule, I'll basically never get caught up with my reviews unless I combine some of them. This will also be a good exercise for me because I've been wanting to experiment with writing some shorter reviews. For each book, I'm going to cap it at 500 words. (To give you a point of reference, my reviews are generally between 1200 and 1800 words, although when I've combined reviews in the past, I can usually get that number down to about 700.) I think that will still give me plenty of space to say what I want to say without going overboard. So here goes. I read The Forgotten Garden last year after hearing it raved about. It was a let down. Part of that was my fault; I was reading too many books at the time, and so it literally took me about five months to finish. But part of it was that the story itself just left me feeling sorely disappointed. I found the big twist at the end to be faintly repugnant instead of deeply noble. So I wasn't necessarily in a hurry to get my hands on another Kate Morton novel. But when I heard several people say they liked The Secret Keeper more than The Forgotten Garden, and especially when my friend, Sarah, read and gushed over it, I decided to ignore my prejudices and check it out. After all, it wasn't Kate Morton's writing style that I disliked, so maybe a different plot and different characters would win me over. And what do you know? They did. The book opens on a summer scene in the 1960's. Sixteen-year-old Laurel is avoiding a family birthday party in favor of day dreaming in her tree house (and proving to her family that she doesn't have to bend to their every wish). She has just decided that maybe it's been long enough and that she'll join them when she sees a stranger coming up the path. Her mother has just run back into the house with her baby brother to retrieve the special cake-cutting knife. As she leaves the house, the man approaches her, they have a brief conversation, and then Laurel's mother kills the man. Of course, Laurel is quite shocked by this. She is the only witness to it (besides her baby brother), and later, when the police come, the murder is attributed to self-defense. For fifty years, Laurel tries to forget what she saw, but eventually, as her mother is nearing the end of her life, Laurel knows she can't ignore it any longer. She has to know who the man was and what motive her mother would have had for doing such a thing. And so she dives into the past, and the story then flips back and forth between two time periods: London in the 1940's and Laurel's childhood home in 2011. 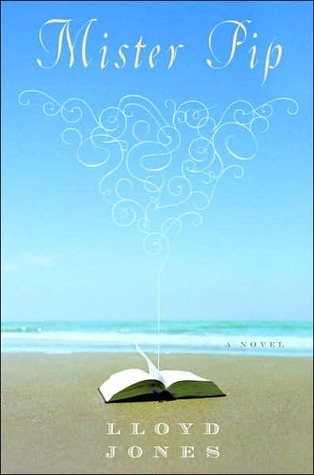 I can't even tell you how much more I liked this book than The Forgotten Garden. In fact, when the twist came this time (and I was completely unprepared for it), I had to stop listening and shout, "Are you kidding me? Is she saying what I think she's saying?!" It took me several minutes before I could wrap my brain around it, but eventually I did, and then all I could think was, Kate Morton is a storytelling genius. Even now, as I'm writing this a month after finishing it, I'm still delighted by the way it all came together. The characters (Dorothy and Jimmy and Vivian and Henry Jenkins and Laurel and Jerry) were complicated and well-developed, the two settings were vibrant and real, and the mystery was tantalizing and satisfying. This was our book club pick for September. Because it's a new book (published in June of this year), I had to wait for a copy at the library and consequently didn't finish it in time. However, after the discussion, I felt compelled to read the rest of it. Now I'm wondering, Why? Wednesday Martin and her husband are living in downtown Manhattan when their first son is born, but after September 11th, they decide to move to the Upper East Side. However, you don't just decide to move to the Upper East Side and do it. There are a lot of politics involved--it's who you know and who they know, etc. ; it's making the right connections at the right time; and, of course, everything involves a lot of money. Even once they've found a condo and settled in, Wednesday finds she can't break into the mom circle. These are women who take motherhood very seriously. They measure their own success through the success of their children, and consequently, children become something of a status symbol. For the most part, Wednesday finds them cold and calculating until her own world is shattered, and then the walls finally break down. The first 100 pages were fascinating (and aggravating) (and disturbing). I was both repulsed and intrigued by the idea that someone would spend $10,000 (or more) on a handbag. This was a life I couldn't fathom yet could relate to . . . in an eerie sort of way. Some things don't change the more money you have, and I was surprised by how much Wednesday's account of trying to make friends on the Upper East Side resonated with my own experiences of making friends in the different areas we've lived (and particularly this year as we've navigated two different schools). It just takes time for other people to accept you and for you to feel comfortable. So I appreciated that aspect of the book, and that's what made it an interesting discussion for book club (that, and there was a new person who had just moved here from the Upper West Side). But, two-thirds of the way through, I was sick of it. Details in her account weren't lining up (and with good reason--after the book was published, it came out that she only lived on the Upper East Side for three years instead of the six she claims). Plus, the whole thing started to feel repetitive, and her voice and attitude irritated me. It was like she was trying to cast herself above all the pettiness when really, she was just as affected by it as everyone else. And the ending proved that. She finishes the book by telling about how her son possibly passed on a flu-like virus to a woman she refers to throughout the book as "the queen of the queen bees." She's so smug about it, and it was an amazingly shallow way to end the book. I had never heard of this book, and then one evening, a friend in my neighborhood stopped by with it in hand. She said she had enjoyed it and thought maybe I would too. I wasn't necessarily in search of another book to read, but some people are hard to refuse, and so I gave it priority that maybe, in retrospect, it didn't deserve. The story takes place in 1993 on a little island off the coast of Papua New Guinea. Although not a true story, the historical events surrounding it are based in fact. It involves a conflict known as the Bougainville Civil War, which lasted from 1988 to 1998. I don't really know any of the details of the war as it's never really explained in the book. What I do know is that the island on which Matilda and her mother reside is basically under siege. There is no government, although the rebels have some semblance of control over it, and the inhabitants are not allowed to leave. Cut off from the outside world (and remember, this is 1993), they live off the land, and the children attend school with the only remaining white person, Mr. Watts, as their teacher. His teaching style is unusual. He reads from Great Expectations and also invites the parents in as guest speakers to share whatever they know. He is a kind man and seems to have a certain amount of wisdom, although no one knows much about his past. He becomes something of a mentor to Matilda, along with Pip from Great Expectations, and eventually, the line sort of blurs between the two of them. This book got off to a very rough start for me. Not being familiar with these historical events, or really, even this part of the world, I couldn't grasp what was going on (at first, I didn't even know if what I was reading about was based on truth or not). Thirty pages in, I went back to the beginning and started over. The second time through was better (a little internet research also proved very enlightening), and I think by the time I got to about page 85, I was finally not avoiding it anymore or staring at it in frustration, thinking, What is this even about?! I had a good 100-page run with the book, and then the story turned so brutal and horrific so quickly, I think I kind of went into a state of reader's shock and never recovered. Although there were things about the narration that were certainly clever and profound (I particularly liked the way the plot and characters of Great Expectations crossed time and space and became something Matilda could apply to her own life), the defining quality of this author's style seemed to be vagueness. Even as time moved forward at the end and Matilda's own questions were answered and resolved, mine never really were. This will not be a book that I recommend, and, unfortunately, I will probably only remember it with distaste. I'm so glad you liked The Secret Keeper- it's definitely my favorite of her books so far. Now that I've read several Kate Morton books I feel like I could reassess my original valuation of The Forgotten Garden. I think I was so wowed by the writing that I let some discomfort I felt over the ending slide. I do love a good twist, though. I'm excited for The Lake House. I think my favorite thing about your reviews is the ones you help me steer clear of. If my life had a theme it would be "so little time, so many books" so it's a huge help. 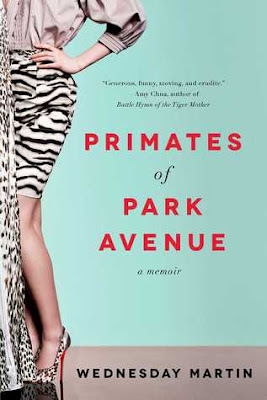 While Primates of Park Avenue sounds like it would make such a fun discussion some books aren't worth the time. It's sounds like one book club I would have loved to sit in on even without having read the book. Urghh, ignore any blaring grammatical mistakes- I really shouldn't re-read my comments after posting- just move on, Sarah. Oh yes, you would have LOVED this book club discussion. I read The Secret Keeper first, really enjoyed it, so eagerly picked up The Forgotten Garden. Same reaction as you. I was totally turned off by that twist. Probably won't pick up another Kate Morton (you were brave to try again after The Forgotten Garden). Also, I'd heard good things about Mister Pip, it might even be on my to-read list, but after your review... probably not. Glad to know I'm not the only one who didn't like The Forgotten Garden. I think I liked Kate Morton's writing style enough the first time that I was okay to try again. I hope I didn't persuade you not to read a book that you would have actually liked! 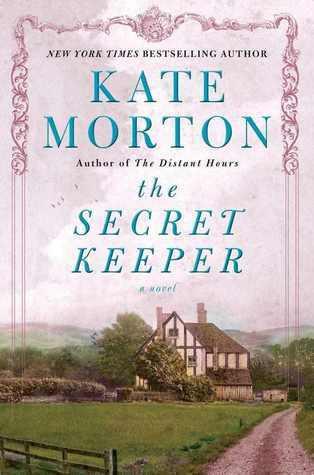 Love all the Kate Morton books I have got my hand on actually Secret Keeper wasn't my fav. The Distant Hours was. Totally get what you are saying re Forgotten Garden! took a long time to recover from that. I'll have to give The Distant Hours a try!